The LapRF unit’s exterior has a simple design that isn’t very exciting. 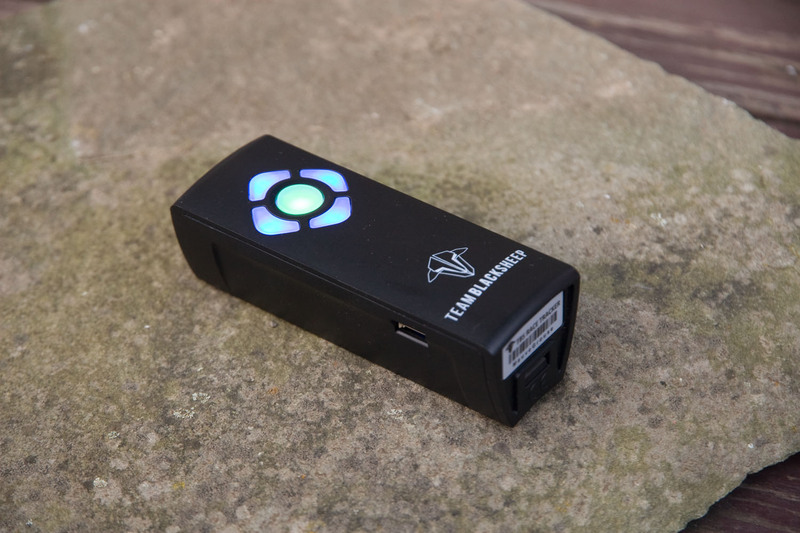 The TBS Racetracker is small enough to fit in a pocket and has a sleek appearance. 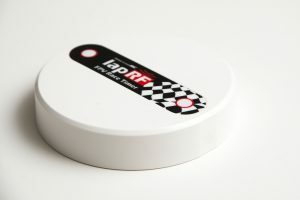 The LapRF unit is just large enough to make pocketing it impossible and its appearance is often described as a “puck”. ImmersionRC claims that “pimp kits” will be available to customize the look, but so far they haven’t come to market and we don’t expect they’ll offer much more than alternate color choices. Winner: TBS RaceTracker. Looks great and the smaller size makes it easier to transport. Both the RaceTracker and the LapRF run off a battery in the 18650 form factor. Both charge via USB. Both will run for an entire race day on a single charge. The RaceTracker ships with a slightly higher capacity battery, (3000mAh vs 2600mAh,) but the LapRF’s battery is easily replaceable. With the LapRF, you can charge an extra and swap at the field. I suspect few will need to do this, but it’s also nice to know that no internal surgery is required when the battery reaches end of life. Winner: ImmersionRC LapRF. Almost a wash, but the removable battery tips the scale. The TBS RaceTracker is smaller, lighter, and has a nicer finish and appearance. The RaceTracker claims an accuracy of <5ms, compared to 30ms for the LapRF. Theoretically, this makes the RaceTracker 6× more precise, but in practice we’re not sure that natural fluctuations in RSSI values make <5ms accuracy possible. 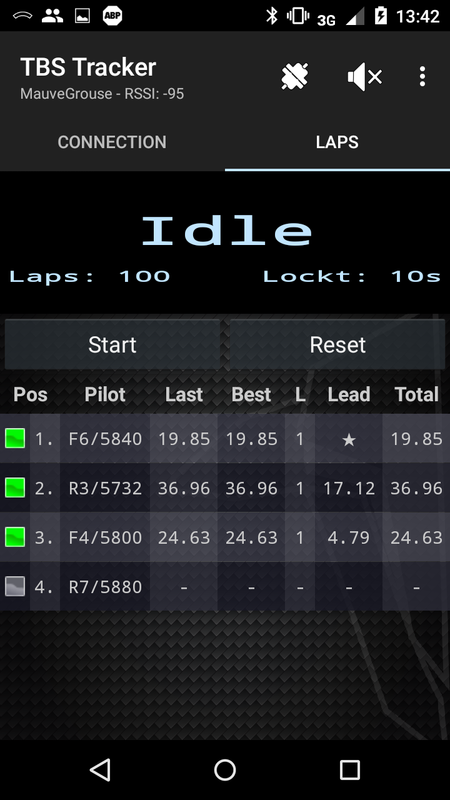 However, the faster polling rate allows the RaceTracker to do multiple pilots with more accuracy. Enabling all 8 slots on the LapRF raises the accuracy to 240ms; nearly a quarter second. At 8 pilots the TBS claims accuracy under 40ms; just about on par with the LapRF in single-pilot mode. Winner: TBS RaceTracker. The big win here isn’t the single-unit accuracy, but a much improved ability to handle multiple pilots simultaneously. To update the LapRF, you need to download and install Immersion’s Vortex Configurator app for Chrome. From there, the process is pretty quick and painless over USB. The RaceTracker doesn’t require a computer at all, but it only updates via Bluetooth (via the app). This less stable connection means the whole process takes much longer to complete and some users have reported issues with the process failing and temporarily bricking the device. Winner: ImmersionRC LapRF. Having a computer available when an update is required isn’t a problem for most. The LapRF Android app’s main page crams in all pilot slots, lap times, stats, and Bluetooth connection info alongside the start/stop race buttons. The TBS Tracker app seems to send every setting change to the RaceTracker hardware right away, and then wait for a response before allowing you to continue. It usually takes a second or two, which makes the interface feel slow and unresponsive. LapRF instead stores a copy of the configuration locally and only updates it when you explicitly tell it to. It’s an extra step and something you have to remember to do, but making changes and using the app is much faster. The LapRF does a better job of automatically reconnecting if the Bluetooth connection is lost. The RaceTracker very often requires re-pairing to regain a connection. 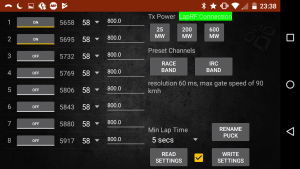 The LapRF app allows you to work with it while it tries to reconnect in the background; the TBS Tracker app prevents using it until the connection is re-established or cancelled. Winner: ImmersionRC LapRF. The responsiveness, ease of use, and connection stability are all big wins. LapRF’s direct settings and preset buttons allow both quick setup and precise adjustments. Initially connecting both units is straightforward. The LapRF app remembers and automatically reconnects to the last used timer even after you close the app, regardless of the order in which you power on the timer and start the app. Calibration of the RaceTracker could not be simpler; power on your quad, position it where you would like, and press the ‘calibrate’ button. There’s no way to know what value this calibrated to, though, so you’re left guessing whether it was done correctly until you test it by running laps. On the other hand, the LapRF does not offer a one-touch calibration at all. Instead, it lets you manually choose the sensitivity setting (a few presets are available) and gives you a diagnostic page which you can use to check your work without running laps. The LapRF allows the sensitivity to be adjusted on a per-slot basis instead of requiring all pilots to use the same VTx power level. (Though this will take a fair amount of extra work to set up.) It also allows you to use any frequency from 5.2 up to 6.0GHz, where the TBS is limited to the “standard” 40-channel set. Winner: ImmersionRC LapRF. Setup on the TBS is faster, but we lost entire races worth of data from miscalibration. We’d rather have the exact settings available rather than rely solely on an automated calibration without transparency. TBS uses a simpler layout with larger text that’s much easier to read in their Tracker app. 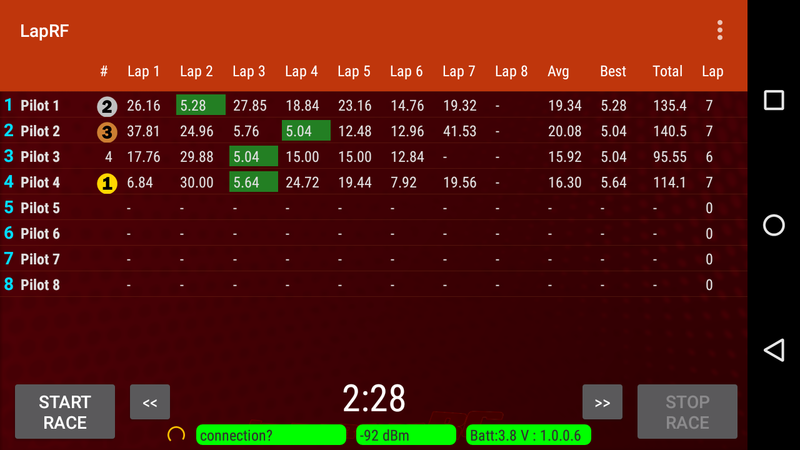 The Racetracker offers a maximum lap count and minimum/maximum lap times. 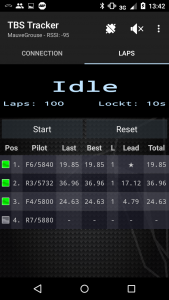 LapRF offers a max lap race mode, a fixed time race mode, or open practice mode; minimum lap time can be specified but not a maximum. Both offer race starts after a countdown (with adjustable length on the LapRF) or when the first pilot crosses the line. Neither have a “staggered start” option. You can’t do any setup on the RaceTracker without an active connection. The LapRF will allow you to preconfigure settings to write to the timer later, even while a race is running. The app can also function as a manual race timer by tapping the pilot slot numbers. On the LapRF, you can enter each pilot’s name. During a race, it will use text-to-speech to read out the pilot name and lap time as each crosses the line. It also has an announcer on occasion, though some may find it annoying. The RaceTracker also gives voice feedback, but without pilot names you have to remember who is on what channel. Winner: ImmersionRC LapRF. You can set up almost any kind of race you like, and status updates are spoken with pilot names. On the LapRF, you can configure up to 8 slots ahead of time, then choose which are active. If you have 8 or fewer pilots flying together, you only need to configure each pilot once and just change which slots are enabled. On the RaceTracker, the current configuration is always active. Winner: ImmersionRC LapRF. Setup difficulty is compounded by the app responsiveness noted above makes the RaceTracker much more difficult for quick changes. The RaceTracker was worthless at 50ft unless elevated and basically requires line-of-sight. The LapRF kept a connection out to nearly 75ft; and almost 90ft if you can orient the directional antenna toward yourself. Winner: ImmersionRC LapRF. It’s easier to position, has better range, and seems more stable. 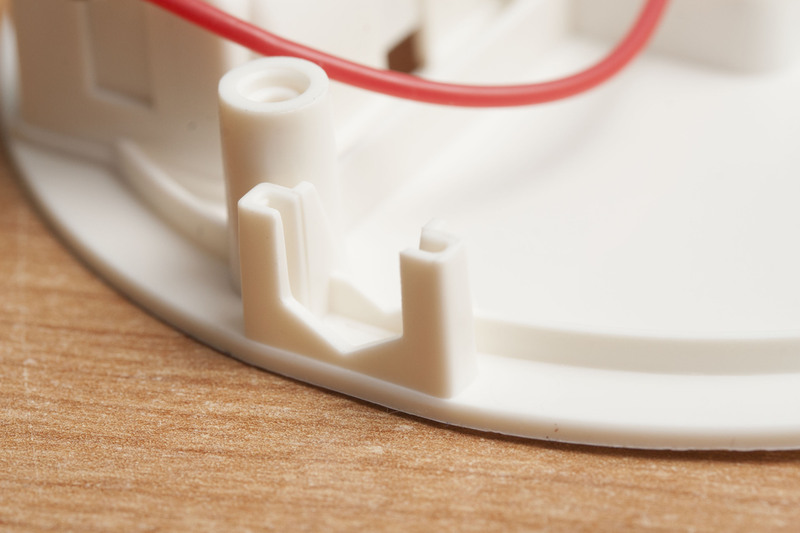 The port for the external antenna mod on the LapRF has a hex cutout which prevents the SMA connector from rotating. While the RaceTracker (now) provides a perforated circle you can cut out with a knife, the LapRF has a cap that’s designed to be taken out. Both use a u.fl connector internally for the Bluetooth antenna. Installation is about the same amount of difficulty with each unit. TBS sells a kit, for now you will have to source your own for the LapRF. The LapRF also features a hex-shaped notch which holds and prevents an SMA connector from rotating once installed. If you change your mind on the mod, you can replace the cap on the LapRF; with the RaceTracker you’re stuck with a hole unless you replace the entire top cover. After modding, the RaceTracker’s range improved somewhat and could keep a stable connection at about 50ft. The LapRF’s range improved immensely and could keep a stable connection beyond 300ft. Winner: ImmersionRC LapRF. Preventing rotation of the SMA connector is a huge benefit, and the range difference speaks for itself. The RaceTracker has an external data port which plugs into and controls lighting effects for TBS’ race gate product. This changes the color of race gates based on which pilots pass through them. The LapRF can integrate with LiveTime, a scoring engine that works well with MultiGP. Winner: Neither. It depends on your needs. The RaceTracker has higher precision for about half the cost. 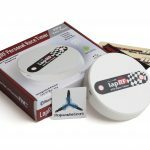 As of this writing, the RaceTracker retails at $59.95, and the LapRF Personal retails for $99.00. This is a pretty significant difference. Winner: TBS RaceTracker. At its core it’s the same product, so we’re not sure why the LapRF is so much more expensive. I had a number of questions on how the RaceTracker functioned. A direct message to TBS came back with a prompt and complete reply. The initial run of RaceTrackers had faulty boards; TBS replaced these. For the LapRF, I didn’t have any questions, but my request to join the ImmersionRC LapRF Facebook group took about a week to even get approved. Questions left there sometimes get responses, and sometimes do not. Communications with ImmersionRC over e-mail tend to be terse, and one such interaction for a separate product led me in the wrong direction from a solution. Just after 30 days, the LapRF unit stopped working and required sending back, which I had to pay shipping for. However, once I mentioned that I was hoping to get the product returned to me in time for a race event, it was shipped out with a method that ensured it got to me on time. Winner: TBS RaceTracker. We appreciated ImmersionRC’s extra effort in getting the return to us before the event, but TBS was easier to reach and provided a better response. You should choose based on your own needs, but I would confidently hand the title to ImmersionRC. 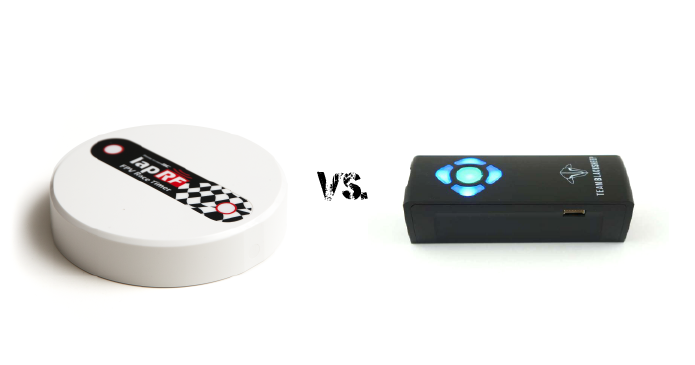 TBS wins with the hardware design, but ImmersionRC pulls ahead easily once the software comes into play. Unlike the Tracker app, the LapRF app is responsive, easy to navigate, and provides a lot of useful information. But TBS also wins big in one important area: price. Is the LapRF worth nearly twice the cost? It may depend on how you use it. If you only expect to practice on your own, we would recommend the RaceTracker. Once you add more pilots to the mix, especially if you set up structured race heats, the LapRF becomes the obvious choice. That said, the LapRF’s advantage breaks down again if you are trying to push as many as 8 pilots through; the accuracy simply won’t keep up very well especially with faster quads. 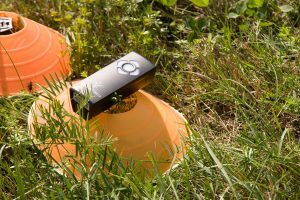 Neither ‘personal’ timer will be suitable for large events where you need instant reconfiguration, reliability, and precision for each individual racer. ImmersionRC also manufactures the LapRF 8-Way, and TBS sells the EventTracker; both products are aimed at these bigger race groups. In contrast to the personal timers, the LapRF 8-Way is much less expensive than the TBS EventTracker. You can purchase the ImmersionRC LapRF Personal at Amazon, Banggood, or other retailers. 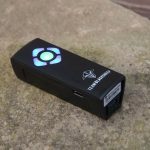 You can purchase the TBS RaceTracker at Amazon, directly from Team Blacksheep, or other retailers.